La concentración del mismo es 0.5 mg/mL. Espero haberte ayudado. En caso contrario, no dudes en contactarnos de nuevo. 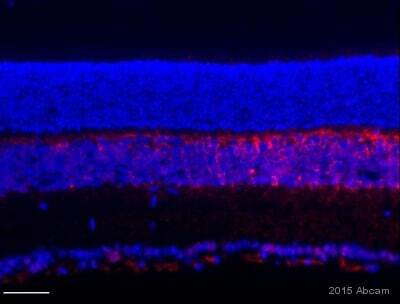 Hello, I want an antibody for confocal that is specific for total ERK1 & 2. Is ab17942 the correct one? 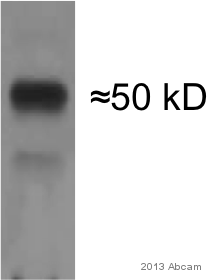 I also want an antibody specific for phosphorylated ERK1/2 and believe ab50011 is the correct one. The antibody for total ERK should not identify phosphoERK. Could you tell me if these are the correct antibodies. For the detection of total ERK1+2 we recommend ab17942, a Rabbit polyclonal directed against amino acids 317-339 of Human ERK1+ERK2. This region is not subject to phosphorylation. ab17942 is covered by our Abpromise guarantee to work in ICC/IF, IHC-Fr, IHC-P, IP, WB and Human, Mouse, Rat, Cow, Dog. 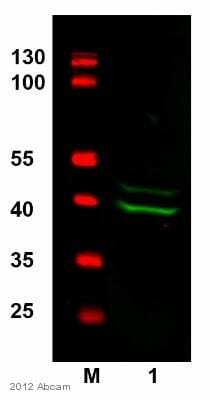 For the detection of the phosphorylated ERK1+2 we recommend ab50011, a Mouse monoclonal specific for the active, dually-phosphorylated form of MAP kinase (ERK-1 and ERK-2, 44 kDa and 42 kDa, respectively). It does not recognise the non-phosphorylated or the monophosphorylated forms of the MAP kinase molecule or the diphosphorylated forms of JUN kinase and p38 MAP kinase. The epitope recognized by ab50011 is located in the region of phosphorylated threonine and tyrosine residues within the regulatory site of active MAP kinase (Thr185 and Tyr187 in ERK-2). 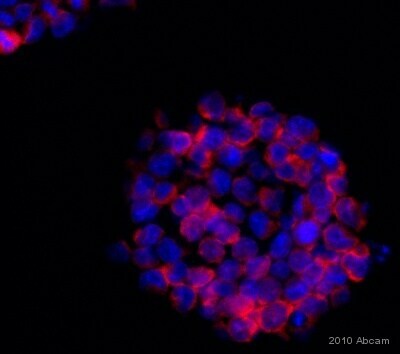 ab50011 is guaranteed to work in ELISA, ICC/IF, IHC-P, IP, WB and Human, Mouse, Rat, Cow, Drosophila, yeast. I hope this information is helpful to you. Please do not hesitate to contact us if you need any more advice or information.